Before subscribing to any high-speed Internet, TV or Digital Phone service, it helps to know more about the exact nature of the entertainment & connectivity offerings that one may actually be ‘in’ for. If you’re looking for a high end and affordable Cable plan, then the Spectrum select package is what should have! What Channels are in Spectrum Select Package? 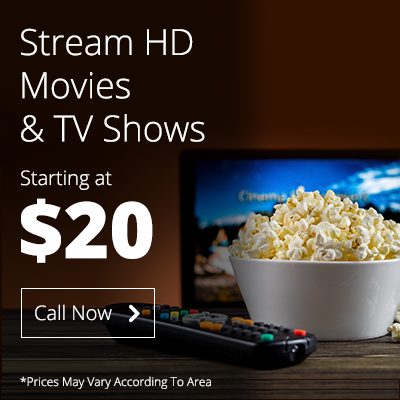 In addition to all the stellar channel offerings, you are provided with complete access to Charter’s acclaimed ‘On Demand’ Movie & TV show catalog. It allows you to stream your favorite Hollywood blockbusters with the simple click of a button. And if that wasn’t enough, the Select plan equips you with the powerful Spectrum TV™ App, which is ideal for watching your favorite content on-the-go. For some additional payment, service subscribers can also attain full DVR functionality alongside this offer. You are guaranteed to experience those long movie nights that you have always dream about. For all, you Music aficionados out there, who simply cannot get by without jamming to a favorite tune. The Spectrum select package provides a sprawling listing of Music Choice™ Channels. These fan favorite channels give free rein to all the genres of classical and contemporary music; allowing you to tune into your preferred listening category and pumping the beats that soothe your soul. Whether its reggae, or rock, or hip-hop, or even R&B and Pop – the select plan has got you covered. Which collectively ensure that your school time continues well past the recess bell. In today’s world, it is often perilous to remain uninformed for long – particularly in terms of business, cultural, etc. For stock market brokers, going a day without catching up with the Bloomberg Channel® can be catastrophic. That is why Charter, takes great strides to provide you with access to some of the most popular News Channels. With the Select plan, bringing on news channels becomes an everyday affair! In addition to individual Movies and Music channels, the select plan enables its subscribers to enjoy a number of basic entertainment channels. Such as E® and The Hollywood Channel® – which provides an exclusive assortment of Movie & show offerings not available for preview anywhere else. *Spectrum TV® select channels lineup vary by every location, for confirm list of channels please call @ 1-844-813-5886 . Channel numbers rely on your area and bundle. These numbers were taken from the official site and keep going investigated on 23rd Jan-2019. Constrained essential confinements apply. Prices may vary as per your location and actual order. Next PostNext Which Company Provides Better Internet, TV and Phone Services: COX or CenturyLink?